If dealers want to sell Holden’s Green car, The Volt, they have to meet the new requirements for environmental standard. Chosen dealers will have to commit themselves to have a level 2 Green Stamp Plus Accreditation. And in top of this, they must be willing to invest in infrastructures and tolling services intended for the Volts. Among the lucky dealers to sell Holden’s Volt are dealers at Thebarton with Metro Holden, City Holden in Adelaide, Peter Page Holden at Elizabeth, and Somerton Park with dealer Hamilton Holden. All of these dealers have committed themselves selling and servicing the Green Volt and have achieved the needed environmental accreditation. 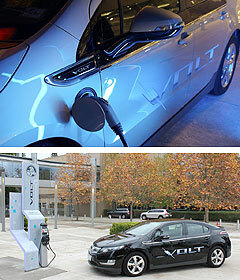 Every dealer that has been chosen to sell “The Volt” has to install Volt charging station to meet the volt-charging needs of would-be Volt owners. They should also have new tooling services as well as the training to keep up with the servicing needs of the first electric car from Holden. Dealers must have the ability and capacity of electric car’s management practices like recycling and efficient energy use. The burden of reducing and disposing toxic chemicals also fall on the shoulders of these dealers that are tuned into meeting up the serious environmental responsibilities.